April showers us with a plentitude of educational activities from which to choose. FWA presents the two-day mini-conference, "Marketing 101," on April 27-28 in Altamonte Springs. Join marketing pros Rick Bettencourt, Mary Ann de Stefano, Erik Deckers, and Mandie Stevens for workshops covering everything from Facebook advertising to website building. Read all the details here. Tonight at 7PM, the River City Writers gather at the Pablo Creek Library to hear from editor Kimberly Smith-Ashley, who will share her thoughts on working with a professional editor and what to expect from the process. 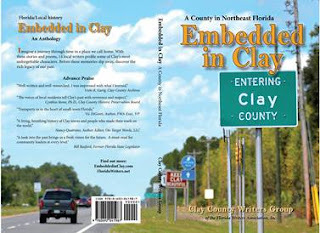 Clay County Writers meet on Wednesday, April 17 at 6:15PM at the Orange Park Library. Former police officer Sherrie Clark presents, "Communicating through Storytelling." Sherrie is an author, editor, book coach, and publisher of over 80 books. On Saturday, April 20, the Ancient City Writers welcome award-winning writer Skye Taylor. Skye will address the question of how to hook your reader and keep them turning pages. The group meets at 10AM at St. Augustine's Main Library. Amelia Island Writers celebrates National Poetry Month. Lola Haskins, Honorary Chancellor of the Florida Poets Association., will present "Plein Air, Florida—Woods and Waters," on Thursday, April 23, 4-6 PM at the Island Art Association Educational Building, 18 North 2nd St., Fernandina Beach. Lola will have a selection of her books available for purchase. Thinking of writing a stage play? Then you'll want to know the ins and outs of formatting a play and join Walter Schenk at the Ponte Vedra Writers group meeting on Saturday, April 27 at the Ponte Vedra Beach Library. Walter will present a show-and-tell discussion designed to answer all your questions, starting at 10:30AM. The 18th Annual Florida Writers Conference is now accepting registrations. Nationally prominent featured authors include National Guest of Honor Sherrilyn Kenyon, Florida Author of the Year Delilah Dawson, and National Guest of Honor and Celebrity Workshop presenter Jonathan Maberry. Click here for details. If you've been waiting to submit your work for consideration for a Royal Palm Literary Award, be advised that the submission deadline is April 30. The same deadline applies for the FWA Collection. The 4th Annual I Love Books book fair will be held at the Alachua County Library District Main Branch in downtown Gainesville on Saturday, May 11. We're marching toward another busy spring season. On March 16, FWA presents a marketing webinar with Dr. Juduth Briles, who was one of the hits of last year's Florida Writers Conference. And for an even more intensive marketing session, you should check out the April 27-28 mini-conference in Altamonte Springs. Let's not forget the 4th annual I Love Books book signing event is scheduled for May 11 and is located in Gainesville this year. Check it out here. River City Writers meets on Monday, March 4 at 7PM at the Pablo Creek Library on Beach Boulevard. Contact group leader Gregg Golson for information. The Ancient City Writers are back on schedule with this month's meeting, taking place Saturday, March 16 at 10AM at St. Augustine's Main Library. This month's speaker is author Belea Keeney, and her topic is "Memoirs: So Many Memories, So Little Time." Self-described spiritual activist and student of consciousness teZa Lord will speak to the Clay County Writers on Wednesday, March 20 at 6:15PM. Her topic: "No Matter What, Never Give Up." The Ponte Vedra Beach Library is open once again, and the Ponte Vedra Writers will return to their old stomping grounds this month. The library is accepting applications for meeting rooms next week, and I hope to keep our regular schedule on the fourth Saturday of the month. Our speaker is travel writer Kathleen Walls, who will address, "A Travel Writer in Today's World." Look for a follow-up announcement to confirm the date after the 7th. The Amelia Island Writers group concludes its memoir focus study and makes plans for April National Poetry Month. They meet on Tuesday, March 26, 4PM at the Story and Song Bookstore Bistro in Fernandina Beach. If you write police procedurals or crime novels, mark your calendar to attend this Saturday's meeting of Northeast Florida Sisters in Crime. Paul D. Schad, retired detective, actor, and Police Technical Advisor, will speak on "Emotional Reactions and Ramifications for Law Enforcement Officers." The meeting is set for 10AM, Saturday, March 2 at the SE Regional Library. Aside from all the FWA events mentioned at the top of the page, submissions are now open for the annual Collections anthology, the Royal Palm Literary Award Competition, and the Florida Writer Magazine. Details may be found here. February only has 28 days, but the month is packed with two Presidential holidays, Valentine's Day, the Chinese New Year, and let's not forget that all-important Groundhog Day... and let's not forget that all-important Groundhog Day. Did I already mention Groundhog Day? Gregg Golson has announced that the River City Writers have a new time and place for their meetings. Beginning this month the group will meet on the first Monday of the month (February 4) at 7PM at the Pablo Creek Library on Beach Boulevard. This month's guest speaker is author Tracy Tripp. There will be no February meeting for the Ancient City Writers. The group returns to St. Augustine's Main Library in March for a program on memoir writing. Some authors write one book and consider it a career. Dr. Edward Mickolus has published 35 books and considers it a promising start. Ed is the guest speaker at the Ponte Vedra Writers meeting on Saturday, February 16 at Christ Episcopal Church, 400 San Juan Drive, classroom 113. In his entertaining presentation, "How To Be(come) a Prolific Writer: Tips and Tricks on Writing and Publishing More Often Than You Think You Can," Ed will offer techniques to help increase your productivity. The meeting starts at 10:30AM. The Amelia Island Writers meet on Wednesday, February 20 at 4PM at the Story and Song Bookstore. Author Kathryn Taylor will discuss her new memoir, Two Minus One. Also meeting on the 20th is the Clay County Writers group, 6:15 PM at the Orange Park Library. The group welcomes Sherri Henderson, an author who works in the area of community support and advocacy services for families and individuals with developmental disabilities. She wrote Picture Memories: Understanding Dementia to help her son, who has Down Syndrome, understand his disease. The Northeast Florida Sisters in Crime group meets this Saturday, February 2 at 10AM at the SE Regional Library to hear retired attorney Judith Erwin speaking on "Love Can Kill." The 18th Annual Amelia Island Book Festival, February 14 - 16, offers multiple activities for writers and readers, including conversations by bestselling authors. Visit the website for details. The Jacksonville Public Library presents Jax Book Fest 2019 on Saturday, February 23 at the downtown Main Library. The free event runs from 10AM to 3PM and features presentations and signings by dozens of authors. A Gathering of Poets meets on the first and third Thursday of the month at 2PM at Chabad at the Beaches, 521 A1A North, while the Ponte Vedra Library undergoes repairs. Both the FWA Collections and Royal Palm Literary Awards competitions are open for submissions as of February 1. And don't forget you may also submit to The Florida Writer magazine and the FWA Blog. Visit the FWA website for details. It's a new year and a time for new beginnings. If you resolved to finish your writing project, we have plenty of inspiration for you. Keep reading for information on the NE Florida writing group meetings, and be sure to show up for at least one of them. As Woody Allen said, 80 percent of success is just showing up. The River City Writers group is taking the month off to reorganize and move to a new location. Beginning Monday, February 4, the group will meet at 7PM at the Pablo Branch Library's front conference room. Their first meeting features local author Tracy Tripp. Gregg Golson has more details. The Clay County Writers group is off and running in the new year with a motivational program to help you sell books. Meeting on Wednesday, January 16 at 6:15PM at the Orange Park Library, the group welcomes Armand Rosamilla, a hybrid author who addresses the subject, "Building Readership: Reaching Your First thousand Readers." Armand will talk about podcasts, mailing lists, and social media. Children's book authors will want to head to St. Augustine on Saturday, January 19 for the Ancient City Writers group meeting. Your destination is St. Augustine's Main Library at 10AM. That's when Frances Keiser will expound on "The ABCs of Publishing a Children's Book." The critique group known as the Bold City Writers meets on the second and fourth Thursday of the month at 5PM at the Panera at 9301 Atlantic Blvd. Newcomers are welcome. Contact group leader Rod Sullivan for details. The newly relaunched Amelia Island Writers group meets on Tuesday, January 22 at 4PM at the Story and Song Bookstore in Fernandina Beach. Their mission: to study and write short memoir. Your contact is Marla McDaniel. A freshly revived Ponte Vedra Writers group returns from sabbatical this month reinvigorated and relocated to a temporary new home at Christ Episcopal Church, 400 San Juan Drive in Ponte Vedra Beach. The meeting begins at 10:30AM on Saturday, January 26. Our speaker is author T. M. Jacobs who will teach us how to develop our writing into a business. During his talk, appropriately titled "Writing is Your Business," Jacobs will share some outside the box marketing methods, how to set goals, and how to learn from best sellers. 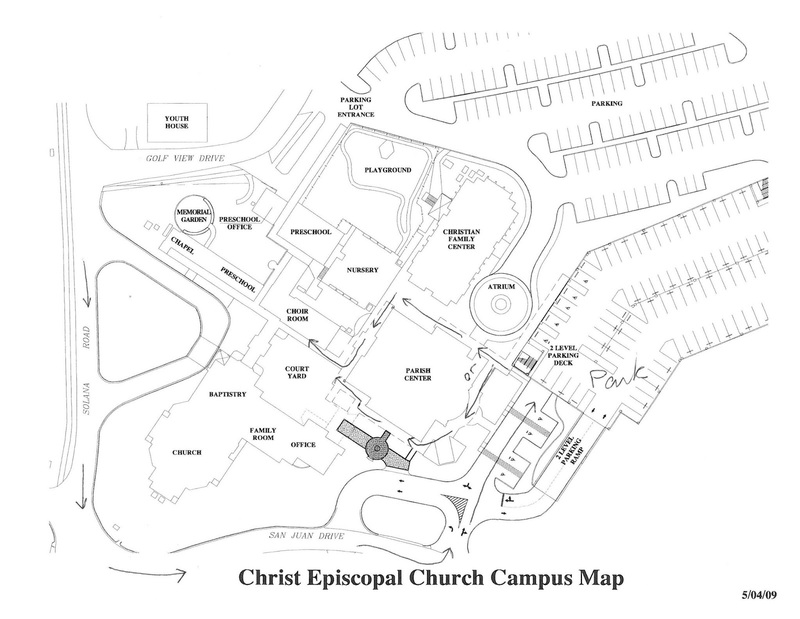 The group will meet in the choir room on the ground floor, and parking is available in the lot or in their parking garage. See the map below and follow the arrows to the choir room. Hymnals will be provided for those wishing to sing. The ubiquitous—and appreciated—Nancy Quatrano kicks off the year for the Northeast Florida Sisters in Crime clan talking about how to strengthen a manuscript, especially a mystery, by dissecting "The 13 Problems." The sisters (and brothers) meet Saturday, January 5 at 10AM at the SE Branch Library. All genders are welcome. A Gathering of Poets meets on the first and third Thursday at 2PM. They gather at Chabad at the Beaches, 521 A1A North, until the Ponte Vedra Library opens for business in a few months. Have you ever read a boating article in a magazine or online blog and thought to yourself, I could do that! Well here’s your chance. The BWI Scholarship Fund was created to honor undergraduate college students—from any major—who demonstrate a passion for the field of boating media and have a clear career goal to pursue this field. Applications may be downloaded at http://www.bwi.org/downloads/scholarship/BWI-Scholarship-App-19.pdf and will be accepted through January 15, 2019. And that's all for now, folks, except to wish everyone a happy and prosperous New Year.